Simple isn’t easy. Life gets in the way of simple. Life is complicated. Or perhaps we make life complicated. Crossing into my fourth decade on this wild ride is driving me to drink determine the Tao of the Dude. What are the rules I live by? What are my guiding principles? If we don’t consciously determine our personal Tao (Way) than outside forces will determine the Way for us. I have let this happen far too often in my 40 years. I need a simple framework to create a simple Tao. A Way that is easy to apply from sun up to sun down, through thick and thin. One foundation that has caught my attention recently is the idea that life is a game. A simple mindset that adds a layer of fun to the ups and downs of the daily grind and switches the focus from survival to strategy. This cool cat Oliver Emberton wrote a great post outlining his view of life as a game. Life is the big game with a lot of “mini games” within it. Crucial to manage resources and master your use of time. Everything you do affects your state and skills. State = health, energy, willpower. Willpower is a finite resource that fades throughout the day. Choose the right tasks at the right time. Ensure a healthy state and then work on skills that open new paths. S. Adams discusses that idea that every new skill doubles your odds of success. Combinations of skills are most effective. S. Adams discusses the idea of “talent stacks” to build unique expertise. All players die after about 29,000 days, or 80 years. There is no cheat code to extend this. By the time most of us have figured life out, we’ve used up too much of the best parts. I dig this simple framework to maintain focus on the important strategies of a “successful” (IE happy) life. But there is room for this framework to grow, to deepen, to expand to life’s nuances. If life is a game, what game is it? Nintendo Gameboy was glued to my hand in 7th grade, and Tetris was my weapon of choice. 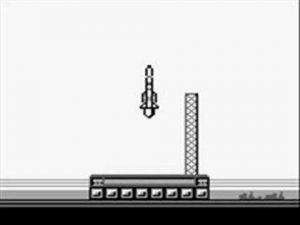 Are you aware that a rocket blasts off if you hit 100,000 points in the original Tetris?! You need to be dedicated to see that rocket. I was. Your Life is Tetris. Stop Playing It Like Chess. Our first inclination may be to view life as a game of chess where we agonize every move to vanquish our foes. But life is much more fluid than chess, and our most formidable opponent is the person we were yesterday not an enemy across the table. Life is not us vs. them; not a zero-sum game where there needs to be a loser. Your only opponent is yourself. The real game is internal. Life is a game against time (29,000 days) with a random stream of inputs for you to orderly configure. Life doesn’t get harder, it just gets faster. Master life – like Tetris – by playing with self-control at high speeds. Play for the present moment – you can’t control the board. No one tells you when you “win” – you determine your path and your end goal. Play to play. Enjoy the game. Keep it simple. This entry was posted in Dude, Life, Life Lessons, Philiosophy, Tao and tagged game, life, Tao, Tetris. Bookmark the permalink. One Response to The Tao of Tetris: Life is a Game. Choose Your Strategy Wisely.